This study examined the role of parent expectations and adaptive behavior in predicting outcomes for youth with intellectual disability. A sample of students with intellectual disability were drawn from the National Longitudinal Transition Study-2 for inclusion in this study. Four latent variables were created: demographic factors, adaptive behavior, parent expectations, and post-school outcomes. Structural equation modeling was used to test relationships between these constructs. Results indicated that adaptive behavior was more important than parent expectations in predicting post-school outcomes. Results supported the conclusion that adaptive behavior plays a critical role in post-school success for individuals with intellectual disability and that parent expectations alone were insufficient to ensure positive outcomes for youth with poor adaptive skills. Implications are discussed. The authors would like to thank Andrew Persch, PhD, OTR/L for graciously providing access to the NLTS2 dataset. KAD conceived of the study, participated in its design, performed statistical analyses and interpretation of the data, and drafted the manuscript. MJT participated in the design of the study, interpretation of the analyses, and critical revisions of the manuscript. All authors read and approved the final manuscript. Asparouhov, T., & Muthén, B. (2010). Weighted least squares estimation with missing data. Technical Report. http://www.statmodel.com/download/GstrucMissingRevision.pdf. Stewart, D., Freeman, M., Law, M., Healy, H., Burke-Gaffney, J., Forhan, M., Guenther, S. (2010). 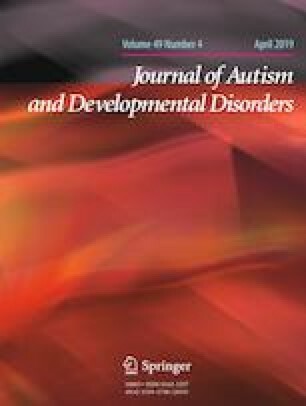 Transition to adulthood for youth with disabilities: Evidence from the literature. International Encyclopedia of Rehabilitation. Retrieved from http://cirrie.buffalo.edu/encyclopedia/en/article/110.